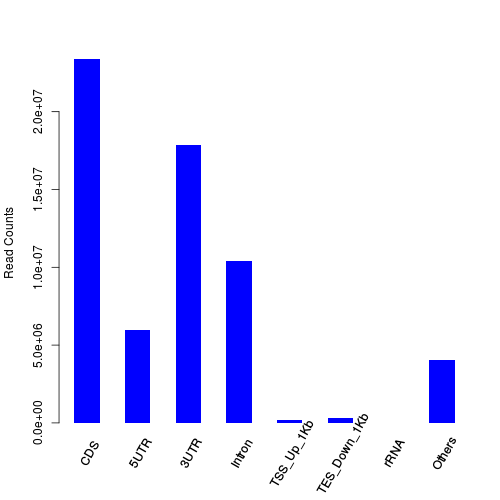 Question: Low gene count assignment for ribo-depleted RNA-Seq data? Until recently, we have used a poly(A) selection process to prepare our RNA-Seq libraries. In our last run we had to use a ribo-depletion approach instead, as we want to study some formalin-fixed (FF) material with degraded RNA. The facility use Illumina's Ribo-Zero kit. We otherwise kept the same sequencing parameters: paired-end 75bp reverse stranded on an Illumina HiSeq 4000. Since we don't know how well the FF material represents the original tissue, we also sequenced a few frozen tissue samples, with the intention of comparing the two (though they are _not_ perfectly matched). In total we have 3 FF samples and 2 frozen samples. fastQC all looked OK, some highly duplicated sequences, probably rRNA associated, but nothing too major. I had STAR run gene counts during alignment. The results differed from what I've typically seen in the poly(A) data in terms of the % of reads that assign to a (unique) gene. So in both cases the numbers assigned are far lower than for poly(A), and this is especially bad for the FF samples. Most of the reads that were not assigned belonged in the 'no feature' category, i.e. they didn't overlap with any exon. 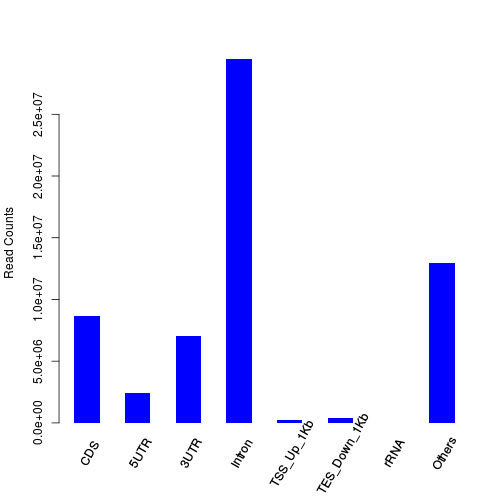 So this seems to agree with my hypothesis: the FF library is dominated by species other than mRNA. Does this sound like a reasonable explanation? And is it still reasonable to compare the gene counts of the FF and frozen samples? I would normalise for the total number of reads, but is that sufficient? In response to cpad0112's comment: I dug out a similar plot for one of our poly(A) samples (below). The % intronic reads is indeed much lower. My understanding about RNAseq is limited. To my knowledge, intronic reads are supposed to be less (2-5%) compared to CDS (both in frozen and FFPE). 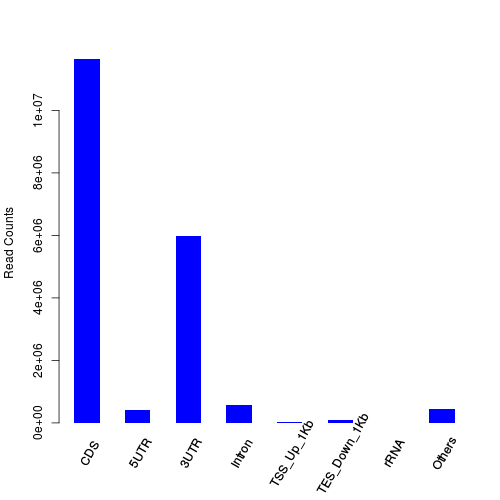 From frozen sample pic, raw counts for intron are almost half of CDS and is worse with FFPE. Though it is digressing point, i would like to know if this is OK with RNA seq experiment. ps: admin! Please move this to comment. I've edited my answer with one more plot - it looks like the poly(A) samples do meet this low % intronic reads. However, were you referring to a Ribo-Zero prepped library? Do you have any reference for that, please? just to say that I'm in the same setting as you and a I find similar results. Thanks Ivan, good to know. This question may be a bit old, but I'm not quite dead yet!